At the Budapest-based media advocacy organization Romedia Foundation, we have started working on the last phase of the production of The Brothers. 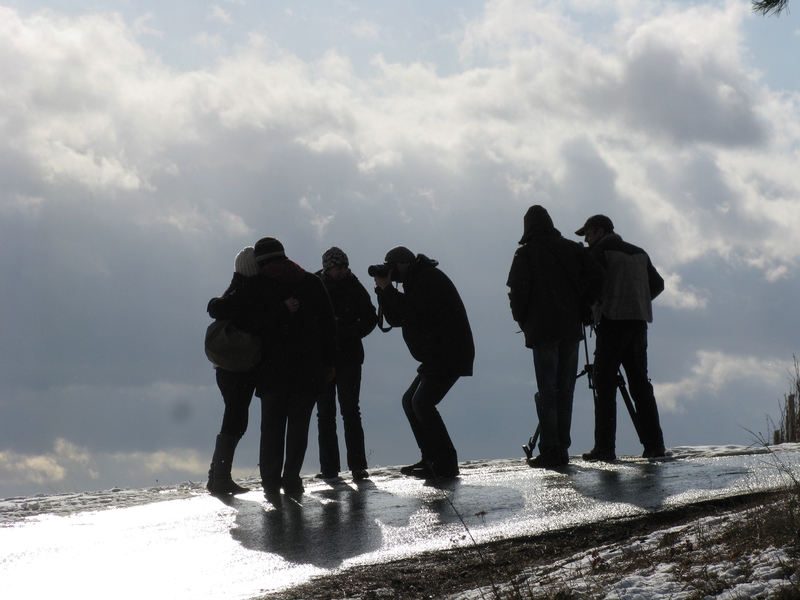 Having finished shooting on location in Kosovo (Mitrovica, Leposavic, Pristina) – see video here – we are working hard to release a feature length documentary in April 2012. The film is a close and personal account of three brothers who have been separated by the deportation policies of the German state of Lower Saxony, two of them now living in the last Romani IDP camp in north Kosovo, in Leposavic, with their mother. Their older brother studies and works in Hanover. For four years, the Romedia team has been returning to Kosovo regularly to film the situation of Romani IDPs in northern Kosovo. 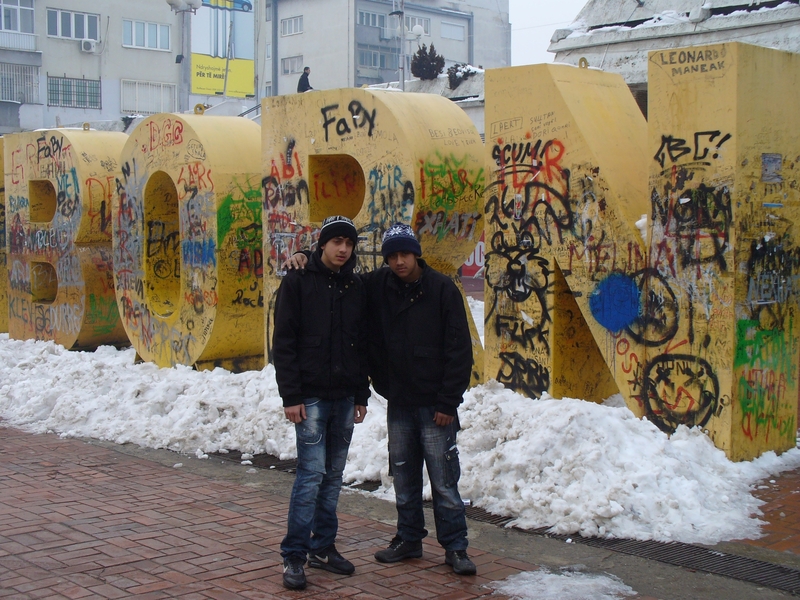 The first news documentary we made, Trapped – the Forgotten Story of the Mitrovica Roma (2008), brought a previously unheard local Romani perspective to audiences from Monte Carlo to France, Belgium, Germany and Hungary. It introduced the background and showed the consequences of the Kosovo war for Mitrovica’s Roma, resulting in the “gravest public health disaster in modern Europe” (WHO director for Serbia Dr. Dorit Nitzan in Trapped). Romani refugees from Mitrovica can be found all over Europe. Indeed, the many countries we traveled to for our Mundi Romani – the World through Roma Eyes series: Italy, France, Germany, Montenegro, Serbia… Everywhere we went, we heard about the tragedy of the destruction and burning of the Fabricka street mahala, the former – and partly reconstructed – Romani neighborhood in the southern (Albanian) part of Mitrovica, in June 1999. In 2009, when we were once again filming in north Kosovo as part of a larger film shoot in the region (we were filming in Bosnia and Herzegovina and Montenegro as well), we visited our friends in the Leposavic camp and met with another side of the story. Halime and her sons Sedat and Nazmija (12 and 13 years old at the time) had just been repatriated from their home near Hanover, Germany. The children had never been to Kosovo before and, barely a month after their arrival, were still clearly traumatized by the sudden upheaval. Our relationship with the family grew stronger and stronger as we met and filmed them several times in both Kosovo and Germany. We got closer and closer to the story and to the family. By now we felt really involved in their plight and had been overcome with a feeling of injustice and anger at the inhumane way in which the family had been treated. The arguments of the German and Kosovan authorities were understood. Economic pressure of the former and EU aspirations of the latter drove both parties to sign the readmission agreement. The personal suffering that would follow was an expense both parties were happy to pay. The brother and their family were of course not alone. Many Roma, Serbs and Albanians also had their lives turned upside down. They were all being sent ‘home’ but, in reality, to children born and bred in Germany, there was only one place they could consider to be home, and that was not Kosovo. We are adamant that the brothers belong in Germany, along with their parents, and we not alone in that view. In Germany, the school directors, the social workers, family neighbors and many others with whom the families had daily contact also agree. They are German, they belong in Germany. In September 2011, we released Uprooted – Children’s perspectives on Europe’s Repatriation Policies, a short advocacy film (22’20”) financed by the Kosovo Foundation for Open Society (KFOS) and the Open Society Roma Initiatives. Below you will find the a short teaser for the film. Uprooted premiered on national Kosovo television on 29 September 2011 and will be premiered in the US on Link TV on 6th March. It will also be broadcast in the UK on Community Channel in the coming months. The film is available upon request to all who wish to use it to bring attention to the reality behind some German states’ repatriation policies. Our next project, The Brothers, is inspired by our four-year personal experience of filming in north Kosovo and our increasingly close relationship to the Hasani brothers, their personalities and their life stories. This will be their film as much as ours. The production of the feature length documentary film is supported by the National Endowment for Democracy (NED) and will be premiered in April 2012.